To improve function (to make eating easier). To improve the health of the teeth and gums. Your Oral Hygiene is not good enough. This might be due the presence of decayed teeth or/and gums problems. In this case you will be referred back to the dentist or to the periodontist and you will be seem again once the situation has improved. You don't need treatment because the position of your teeth is perfectly acceptable, or expected to be. The commitment needed on your part for the treatment to be successful. You will be given the chance to ask any question and brochure with further information will be given to you to read at home before your next appointment to take yours record. In the Records appointment Impressions (moulds), photos and X-rays may be taken and assessed. Using this complementary information, We will reassure the right treatment option is taken. How many of your adult teeth have come through. In case You need to go back to your dentist to treat the decayed teeth, Gum problems or to carry out the extractions. A referral form will be given to you. When you eat or drink something, the bacterias in your mouth produce acids. These acids may damage your teeth giving you Caries (tooth decay). The acid attacks can last fr up an hour after eating or drinking. The more often you eat/drink (specially sugary thing), the more likely you are to cause tooth decay. At the same time, the bacterias sticked to your teeth when you don't clean them properly may lead to gum disease. This layer of bacterias on your teeth surface is called plaque. If you leave the plaque, your gums will become red, swollen, sore and may bleed when you brush them. You may have bad breath. If gum disease is not treated the teeth will become loose and may eventually fall out. Cut down on fizzy and acidic drinks. Choose a manual or electric toothbrush with a small head. Electric toothbrush only work well if you uses it properly. Move the toothbrush in smalls gentle circular movements. Try to cut downtime number of times you have sugary foods or drink by keeping these to mealtimes. Avoid sugary snacks like cakes, sweets and bitscuits between meals. Avoid sugary drinks like fruit squashes, natural fruit juices and milk shakes between meals. Try to stick to still water or mild between meals. Avoid large amounts of acidic fruit such orange and lemons. Use Fluoride mouth rinse before go to bed. Visit your dentist regularly to check your teeth and gums. REMEMBER: is patient's responsibility to keep visiting the dentist along the orthodontic treatment. Use disclosing tablets which contain a harmless dye to stain plaque, making it easier to see for removal. Now that you are wearing braces your diet needs to change so you don't damage your teeth or braces. Food and plaque that are not cleaned off your teeth may lead to permanent marks or/and tooth decay. 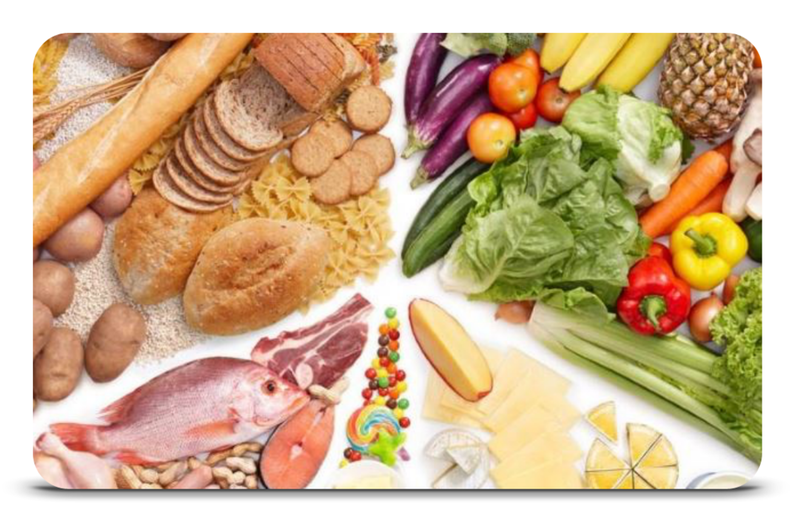 Softer foods and a good balanced diet are advised for a successful orthodontic treatment. Braces and wires are fragile and easting the wrong food can break your brace and damage tour teeth. Broken or loose braces will lengthen your treatment as your teeth will not move correctly. Soon after you get your braces fitted and sometimes when they are adjusted you may want food the need little or no chewing such as soups, pasta, yogurt and cheese. Remember to cut up sandwiches, fruits and vegetables tater than biting into them. Try to stick to the 3 meals a day instead of snacking, but if you eat between meals select healthy food like: wholemeal bread, plain cheese, dry crackers, breadsticks, fruits and vegetables. if you ar thirsty drink still water or milk between meals. Fruit juices should be be kept to mealtimes only. Avoid hard, sticky or crunchy food. Chewing gum, toffee, caramel should be avoided. Apples, raw carrots, pizza crust, nuts, biscuits, celery, chicken wings or ribs are best eaten by cutting them into small pieces and chewing with the back teeth. Chocolates, sweets, fizzy and acidic drinks should be kept to minimum and only eaten at meal times. To improve the appearance of the teeth and face. Teeth become crowded with age (Age is not a limiting factor to have braces) or they start to drift following gum disease (If you are having an active gum disease, it is important this is brought under control before having braces). To move teeth prior to crown, bridges or implants. To improve the bite and make it easier to eat. There are many types of braces. To simplify we can divide them in: Removable and Fixed. Invisalign is an example of removable braces. The clear trays have to be worm 22 hours a day and you can remove them to eat and clean. The fixed braces can be in the labial (outer) or in the lingual (inner) surface. Harmony, Incognito and Win Braces are Lingual braces. They are bonded in the inner surface and they are virtually invisible. The Labial braces are the normal traditional braces, also known as "train tracks". You also have the discreet version known as ceramic, clear or cosmetic braces. In this case, the brackets are tooth colored making them less visible, although the wires are still metallic. When you get a fixed braces, you would need to attend to yours appointments every 4-6 weeks for the brace to be adjusted. It is likely to be sore 3-5 days each time. If necessary, simply take painkillers like Paracetamol ( if you are not allergic to) If the brace rubs your lips or cheeks, you can use wax to help. An average orthodontic treatment vary from 12 to 24 months but this will vary according to how severe your tooth problem is. Missed appointments or repeated breakages of the brace will add to your overall treatment time. As part of your brace, it might be necessary for you to wear elastics at some stage during your treatment, do stripping or use TAD or another auxiliary appliance. It is recommended to wear a gumshield if you play contact sports. A fixed brace may make it more difficult for you to play a musical instrument like wind or brass. Once your treatment is done, you will need to wear retainers. This can be Fixed or removable. Patients should finish their orthodontic treatment with healthy teeth and gums. Your orthodontic treatment should be succesful if you are committed to your treatment. Most problems are preventable if you take care of them. Caries and marks: You may damage your teeth unless you keep them clean and are sensible about what you eat and drink. Redness and swelling of the gums (Periodontal Disease): This occur because you are not brushing your teeth and brace well enough.. This problem usually disappears once the brace is removed. Injured teeth in the past: Please tell us if you have previously knocked or damaged a front tooth, as you might need further treatment while you are wearing a brace . A sign of this is that the tooth may become dark. Root Resorption: All braces causes minor changes on the teeth roots. This is not a problem but occasionally this changes can be more serious. Relapse: You should expect your teeth to move a little once you stop wearing retainers . Changes in the position of your teeth can continue throughout life as part of the normal ageing process. A retainer is an orthodontic appliance that must be worn after braces. All patients need to wear retainers after treatment. The aim of retainers is to keep your teeth straight. Your speech will be different at first. Practice speaking with the retainer in place, read out loud at home on your own. Your speech should return to normal within a few days. You might produce more saliva as well and you should have to swallow more than usual, but this should pass after a few days too. There are two types of reteiners: fixed and removable. Once we remove your braces, your teeth will want to shift naturally due to muscle preasure. It is crucial that you wear your retainer to prevent your teeth from moving. Wearing your retainer is a very important phase of the total treatment process. When your braces come off, the teeth are mildly loose. They need time to settle down in the bone until they become stable. Following our protocol, a fixed 3-3 retainer will be placed in the bottom arch and an Essix (Clear removable retainer) in both arches. At the 3 months mark: Wear your retainers every other day and every night. Take it out to eat and brush. At the 6 months mark: You have to wear your retainer at bedtime, every night. At the 1 year mark: You have to keep wearing your retainer every night, but, as long your retainer inserts smoothly, you can switch to wearing your retainer every other night. However if it feels tight or has resistance, you must wear it several nights per week. It is advisable to keep your lower fixed retainer for at least 5 years and If you decide to remove it, you still need to keep wearing the removable one. You should expect your teeth to move a little once you stop wearing retainers. Changes in position of your teeth continue through out life and are a normal part of aging. Keeping this in mind, you must wear your retainer for the rest of your life, if you don’t, your teeth will shift back to their original position over time. Clean your Removable (essix)retainers at least once a day to keep them fresh and free from bacteria and tartar build up. Brush your retainer with a different brush than the one you use to brush your teeth using cold water and washing up liquid. Do not use hot water or place it in the dishwasher. Always store your retainers in its case. You can use once a week cleaning tablets or sterilising fluid to soak your retainers to get better results. Regarding to your Fixed/bonded retainers, as long you brush with a good technique, use fluoride mouthwash and use floss and superfloss to clean in between your teeth is unlikely to have a problem. It Is always advisable to visit the hygienist twice a year to remove tartar. The microscrews will be usually placed when the other surrounding teeth can not provide the necessary anchorage needed in order to move one or a group of teeth. The microscrews can be placed at any time during the brace treatment under local anaesthetic in the area. It will be gently inserted directly on the bone although some patients will feel an odd pressure sensation while the screw is inserted. The screw insertion itself is not painful, but some patients will have mild ache in the area for 24 hours after the anaesthetic wears off. If necessary, simply take painkillers like Paracetamol ( if you are not allergic to) The brace can be engaged to the screw immediately or in a latter appointment. Once is in place and working, gently brush around it twice daily using a fluoride toothpaste. Avoid using an electric toothbrush and don't play with it with your fingers. Use chloehexidine mouthwash to rinse twice a day for the first week. If you screw become really loose or detached contact the dental practice immediately. The screws will usually stay in for several months and once the tooth movement is complete or they are not longer needed, the screws are taken out. The screw become loose, it can usually be replaced in the same position at later visit or in a different position. 5% of the screws break during insertion. If this happens, the end of the screw may be left in the bone. This won't cause any further problems. Infection is very unlikely if you keep the area clean. Is the mechanical removal of some of the tooth enamel surface between teeth. The space created can be used to straighten the teeth. You might need stripping in order to avoid teeth extractions and still gain the needed room to accommodate all the teeth and improve your bite. It's a good way to deal with "black triangles" due the shape of your teeth. Stripping is done using a dental hand piece with very fine burs or with specials abrasive strips. It takes a few seconds and it can be done in a single visit or over several visits. It doesn't hurts and no anaesthetic is required, however, some patients experience temporary sensitivity but this usually return to normal within a few days. Sometimes a rubber separator is placed between the teeth a week before the procedure order to move the teeth apart slightly. This is a safe procedure, each tooth will be left with enough enamel to continue to remain healthy. Care: Don't Brake the brace and don't miss your appointments. Fail to attend to your appointments or repeated breakages of the brace will add to your overall treatment time. Clean: Keep your Teeth, Gums and Braces clean. Cleaner they are, faster they move. Comfort: It is likely to be sore 3-5 days each time the brace is adjusted. If necessary, simply take painkillers like Paracetamol ( if you are not allergic to) and If the brace rubs your lips or cheeks, you can use wax to help. Now that you are wearing braces is important for us that you become a “Well Informed Patient”. This will allow you to work with us and to have a better understanding of your treatment. Your orthodontic treatment should be successful if you are committed to your treatment. As a general rule, patients who cooperate well with the treatment get good results, while those who do not cooperate well, get poor results. You will need to look after your teeth and braces following the instructions and attending regularly to have your brace adjusted. Improve the appearance of the teeth and face. Perhaps your teeth have become more crowded with age or have started to shift as a result of gum disease. 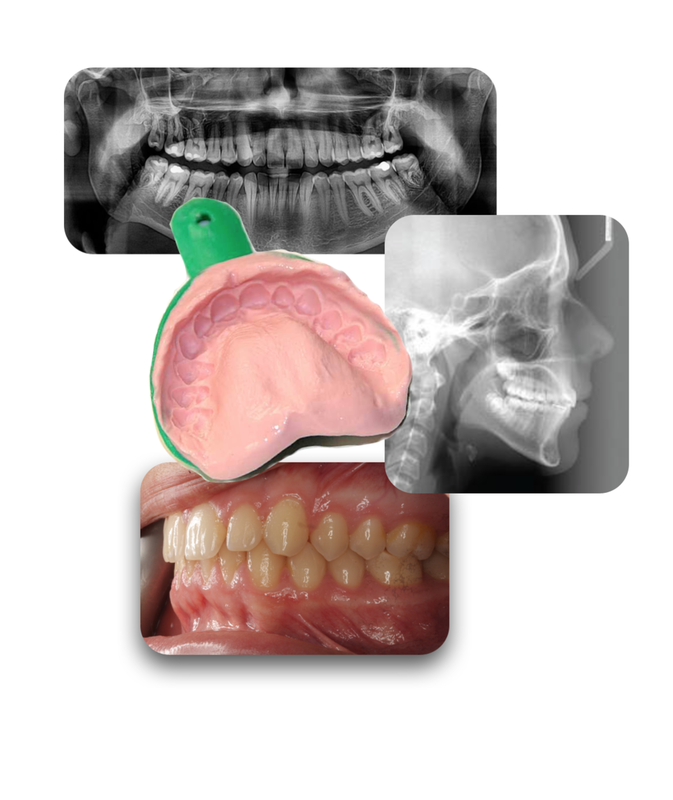 Find the space to rehab a missing teeth with an implant or bridge work. Improve the health of the teeth and gums. Improve function, to make it easier to eat. Age is not a limiting factor to have braces. It more often depends on the type of bite, position of the teeth and the condition of both teeth and gums. If you have active gum disease, it is important to bring this under control before pursuing braces. There are two types of braces: removable braces (Invisalign) and fixed braces. Fixed braces can not be removed. They can be fixed in the inner/lingual side of the teeth (Harmony-Incognito-Win) or in the outer/buccal side which makes them visible (metallic conventional, clear or Damon). It is possible to have tooth coloured brackets, which are less visible from a distance, although the wires are still likely to be noticeable. It may be necessary for you to wear elastics at some stage during the treatment. The elastics are worn inside the mouth during the day and night. Fixed braces treatment usually takes 12-24 months, but this time will vary according to how complex your case is. 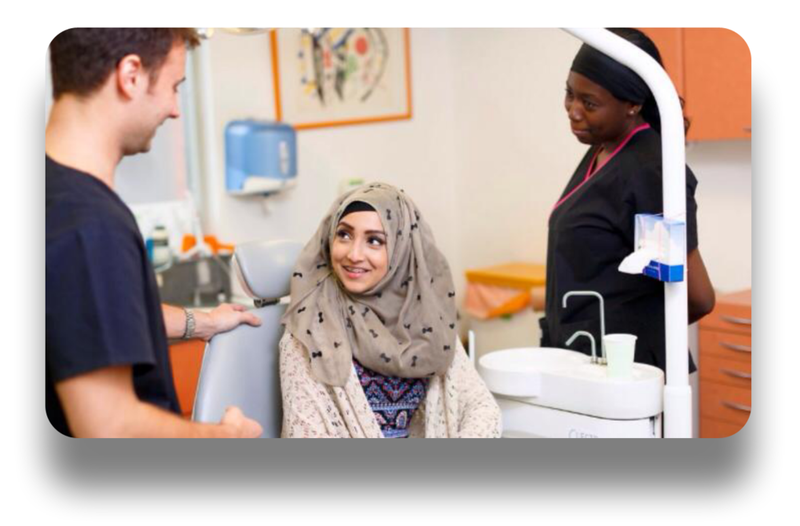 Once your braces has been fitted you will need regular appointments (usually every 4-6 weeks) during the treatment for the braces to be adjusted. Remember, it is patient’s responsibility to book and attend the appointments. Having braces fitted is not painful. However, it is common to have slightly tender teeth for 3-5 days after each fitting and adjustment appointments. Regular over the counter painkillers should help. We advise to take paracetamol 500mg every 6 hours (if you are not allergic). If the brace rubs against your lips or cheeks, you may use orthodontic wax to help relieve discomfort. Please let us know if you have previously knocked or damaged a front tooth, as there is a risk that your tooth may need further treatment while you are wearing a braces. A sign of this damage is that the tooth may become dark. If treatment is needed, this will usually be carried out by your regular dentist. Avoid sugary snacks/drinks between meals and at bedtime. Eat instead sugar free or low sugar foods such as cheese, vegetables or nuts. Avoid sticky, chewy or hard sweets, mints and sugary chewing gum. Avoid fizzy drinks and large amounts of fruit juices. Drink between meals water. Hard or chewy foods, such apples, carrots and crusty bread can damage your brace. Avoid them or cut them up first. It is important that you brush your teeth for at least 3 minutes, 3 times day after every meal using a fluoride toothpaste. Carry a portable tooth brush with you for use after lunch. Bushing may take a little longer when you have fixed braces, take your time. Pay particular attention to brush where the gums meet the teeth. You may use a manual or an electric toothbrush; use the brush that works best for you. An electric toothbrush can be a good tool when properly used. Interdental brushes may help you to clean around the braces and between your teeth. A fluoride mouthwash should also be used daily specially before go to bed. Use it at a different time of the day to when you brush your teeth, to allow the fluoride to protect your teeth Avoid eating or rinsing 30 minutes after use. Sugary snacks/drinks and poor cleaning of your teeth and brace will lead to permanent damage to your teeth. You still need to visit your regular dentist for your check-ups through out the orthodontic treatment. This is so that your teeth can be checked for decay and gums examined for signs of disease. Smoking cause tooth staining, bad breath, gum disease, tooth loss and mouth cancer. Some alcoholic drinks are acidic and very sugary, also some mixer drinks contain acid, so these drinks can cause tooth decay or erosion if they are consumed often in large amounts. If you play contact sports or you take part in activities requiring a protective helmet, it is recommended that you wear a gum shield. If you play a wind or brass musical instrument, a fixed brace may make it more difficult, You will need to discuss this with your music teacher. If the brace brakes, ring up for an appointment as soon as is reasonably possible. Do not wait for your next routine appointment as the breakage may slow your treatment, or may result in damage to your teeth. Repeated breakages will slow down the treatment and increase the overall treatment time. As a rule, every time the brace is broken one month is added on to the normal treatment time. If you repeatedly break your brace, your treatment may be stopped early. Once the active phase of your treatment has been finished, it will be necessary to wear a retaining brace. 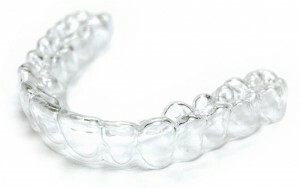 Retainers are designed to keep your teeth straight and it is important that you wear them as instructed. This may be removable or it may be fixed behind your front teeth. As a general rule you will need to wear your retainer for a minimum of 12 months. This may mean wearing it all the time at first, then switching to just night-time wear. You will be advised if long term wear is required. You should expect your teeth to shift a little once you stop wearing retainers. Changes in the position of your teeth can continue through out life and are part of the normal ageing process. The only way to have straight teeth permanently is to wear a retainer on a part-time basis for life. There are two types of retainers: fixed and removable. Once we remove your braces, your teeth will want to shift naturally due to muscle pressure. It is crucial that you wear your retainer to prevent your teeth from moving. At the 1 year mark: You have to keep wearing your retainer every night, but, as long your retainer inserts smoothly, you can switch to wearing your retainer every other night. However if it feels tight or has resistance, you must wear it several nights per week. It is advisable to keep your lower fixed retainer for at least 5 years and If you decide to remove it, you still need to keep wearing the removable one. You should expect your teeth to move a little once you stop wearing retainers. Changes in position of your teeth continue through out life and are a normal part of ageing. Keeping this in mind, you must wear your retainer for the rest of your life, if you don’t, your teeth will shift back to their original position over time. The only way to have permanent straight teeth is to wear a retainer on a part-time basis for life. How do I clean my retainers? Removable (essix): Clean your retainers at least once a day to keep them fresh and free from bacteria and tartar build up. Brush your retainer with a different brush than the one you use to brush your teeth using cold water and washing up liquid. Do not use hot water or place it in the dishwasher. Always store your retainers in its case. You can use once a week cleaning tablets or sterilising fluid to soak your retainers to get better results. Fixed/bonded retainers: As long you brush with a good technique, use fluoride mouthwash and use floss and superfloss to clean in between your teeth is unlikely to have a problem. It Is always advisable to visit the hygienist twice a year to remove tartar. Always bring your retainers with you to your retainer check appointments. After 6 months of retention, you are likely to have to pay for any repair or replacement.